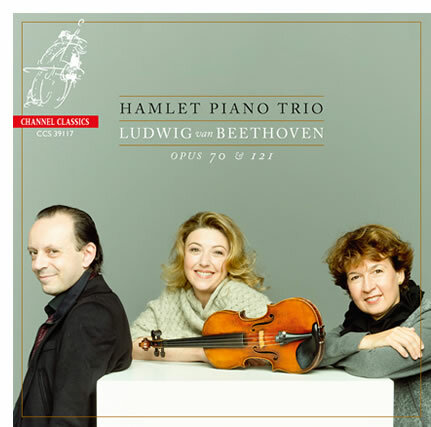 HAMLET PIANO TRIO, Candida Thompson, violin / Xenia Jankovic, cello & Paolo Giacometti, piano. Three world-class musicians join forces in a piano trio. All three have earned their stripes, both as soloists and as chamber musicians. 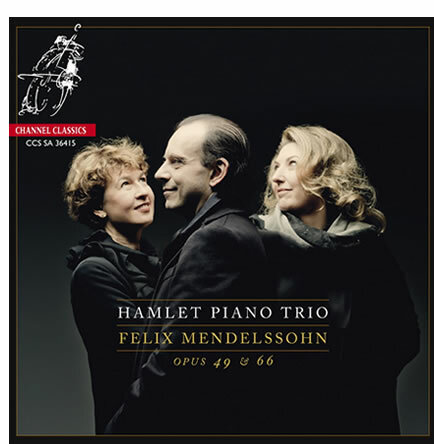 Meanwhile the Hamlet Pianotrio appeared in main halls in Belgium, Spain and the Netherlands. Future concerts will take them to the Concertgebouw Amsterdam, Muziekgebouw Eindhoven, Bilbao Philharmonic Society. Serbian-Russian cellist Xenia Jankovic made her solo debut with the Belgrade Philharmonic Orchestra at the early age of nine. Two years later, she received a scholarship for the Moscow Conservatory. In Switzerland she continued her studies with Pierre Fournier en Guy Fallot, and in Germany with Navarra. In 1981, she made her international breakthrough by winning the prestigious "Gaspar Cassado Cassado" concourse in Florence. Her close collaboration with Sandor Vegh en Görgy Sebök has further formed her, both as a musician and as a person. Jankovic performed as a soloist with esteemed orchestras such as the Philharmonia Orchestra in London, the radio orchestras of Berlin, Copenhagen and Madrid. She has also earned praise in recital, performing all over the world. In chamber music, she worked with such greats as Görgy Sebök, Gidon Kremer and Andras Schiff. In 2004 she became a professor at the Musikhochschule in Detmold. The Dutch Italian and Italian Dutchman Paolo Giacometti is known as a soloist playing both modern and period instruments. He has recorded many albums with great works and renowned orchestras. In 2004, he received his first Edison award for one of his albums from the eight-part Rossini project. As a chamber musician, Paolo is mostly known in combination with renowned musicians like Pieter Wispelwey, with whom he has formed a duo for a long time. But he also worked with Emmy Verhey, Bart Schneemann, Janine Jansen and many other artists. Görgy Sebök is one of the greatest sources of inspiration for Paolo’s musical development. Every year, Paolo is present at the Musikdorf Ernen, where Sebök once founded his festival. Here is also where the idea came into being to form a trio with Xenia and Candida. Since 2010, Paolo is a professor at the Robert Schumann Musikhochschule in Dusseldorf. Candida Thompson has been artistic leader of Amsterdam Sinfonietta since 2003, which under her leadership has developed into one of the most prominent chamber orchestras in the world, performing both in the Netherlands and abroad with soloists such as Murray Perahia, Thomas Hampson, Maxim Vengerov, Christianne Stotijn, Martin Frost and Gidon Kremer. Candida studied at the Guildhall School of Music with David Takeno. After graduating she continued her studies at the Banff Arts Centre in Canada. From a young age, Candida has played chamber music and worked with renowned musicians such as Isaac Stern, Bruno Giuranna, Frans Helmerson, Janine Jansen and Julian Rachlin. She also performed as a soloist in many concerts with the Chamber Orchestra of Moscow, the English String Orchestra, the Radio Chamber Orchestra, the Orchestra of the East and Camerata Nordica (Sweden). Recently, she performed in the Saturday matinee series of the Concertgebouw in Amsterdam.